Peter Orlos '18: "I feel like I'm moving forward"
While most of the active Chi Delts have spent the fall semester on campus, one Brother has been studying abroad. 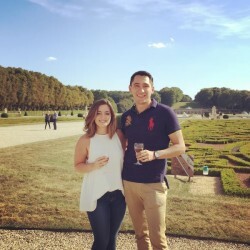 Peter Orlos ’18, an economics major, is continuing his education in Paris. A native of Mexico, Orlos is living with a French family and enjoying the sights and sounds of Europe. 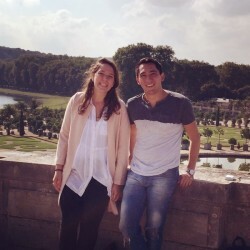 Residing just 10 minutes from The Louvre, Orlos is staying with a host French family. The Mathieu family has four children, three of whom are adults. The parents are both professionals. Orlos is making the most of his time in the City of Light, as he’s taking courses in French art history, the history of France under Louis XIV, and French phonetics. But he’s finding time to do a little traveling as well. Recently, Orlos took a trip to Amsterdam with his Chi Delt brothers. 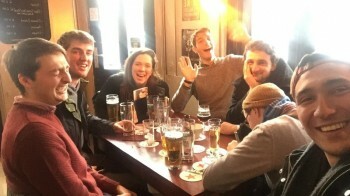 He and Evan Cree Gee, Colin Cowperthwaite, Will Freda and alum Tim Barry met up in the Netherlands’ capital city. “(We) just finished an amazing weekend where I think we all bonded even more than we have in the past,” Orlos said. Back home in Cancun, Orlos runs a business in which he rents properties. He began that endeavor in high school. On campus, Orlos is passionate about being a Chi Delt. He decided to pledge Delta Tau Delta in part because Brother Furqan Dar ’16 was his UCC when Orlos was a freshman. Last year, he served on the Kenyon College Greek Council as the alumni relations coordinator. Being apart from his brothers this semester has been a challenge.